The DNA ancestry testing industry is more than a decade old, yet details about it remain a mystery: there remain no reliable, empirical data on the number, motivations, and attitudes of customers to date, the number of products available and their characteristics, or the industry customs and standard practices that have emerged in the absence of specific governmental regulations. Here, we provide preliminary data collected in 2009 through indirect and direct participant observation, namely blog post analysis, generalized survey analysis, and targeted survey analysis. The attitudes include the first available data on attitudes of those of individuals who have and have not had their own DNA ancestry tested as well as individuals who are members of DNA ancestry-related social networking groups. In a new and fluid landscape, the results highlight the need for empirical data to guide policy discussions and should be interpreted collectively as an invitation for additional investigation of (1) the opinions of individuals purchasing these tests, individuals obtaining these tests through research participation, and individuals not obtaining these tests; (2) the psychosocial and behavioral reactions of individuals obtaining their DNA ancestry information with attention given both to expectations prior to testing and the sociotechnical architecture of the test used; and (3) the applications of DNA ancestry information in varying contexts. The online version of this article (doi: 10.1007/s00439-011-1034-5) contains supplementary material, which is available to authorized users. The research reported here was conducted as part of Dr. Wagner’s dissertation research at Penn State University, and she owes considerable gratitude to her committee which included Dr. Kenneth Weiss (chair), Dr. Mark Shriver, Dr. Nina Jablonski, Dr. Chloe Silverman, and Prof. Jonathan Marks. Additional thanks goes to Dr. Anne Buchanan and Mr. Blake Harper for providing generous feedback and support during this research endeavor. Finally, Dr. Wagner acknowledges and thanks Dr. Charmaine Royal for post-doctoral support. Dr. Kurt Johnson, Director of the Survey Research Center (The Pennsylvania State University), provided generous feedback with survey design, including suggestions on question design, including the word choices to minimize excessive scientific jargon or legalese; the format of both the question and the response options to keep participants alert and responsive; the length of questions and length of the overall survey; the order of the questions; cost and benefit analysis of incorporating open-ended questions; the inclusion of response options to distinguish instances of mere non-response from intentionally skipped questions; inclusion of skip logic; and the recognized limitations of web-based survey. The literary reference to Kurt Vonnegut’s “granfalloons” arose during a conversation on May 5, 2010 between Dr. Wagner and Dr. Jon Merz (University of Pennsylvania, Center for Bioethics). Dr. Merz deserves acknowledgment for that welcomed contribution. 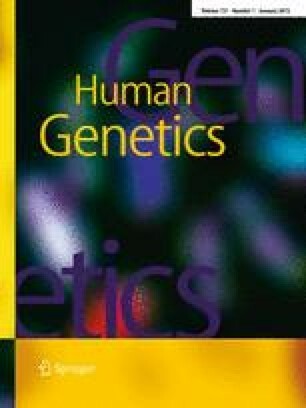 The authors declare this research was conducted in compliance with applicable laws and with approval from the Pennsylvania State University Office of Research Protections as exempt social science research (IRB #31084 “Attitudes on DNA Ancestry Tests”).